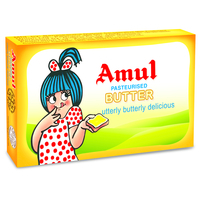 Only "Low-Fat Grade" mixed fat spread available in India. Contains CLA (Conjugated Linoleic Acid), which help in body fat reduction. Low in saturated fats & high in PUFA for a "healthy heart". You love butter, but are afraid of eating it? As, it will add to your existing calories? Yes, now you can savour the hot Aloo parathas in your breakfast with a spoon of Amul Lite butter evenly spread on it, without worrying about gaining weight. 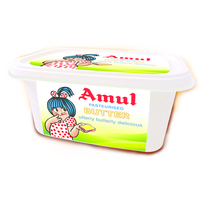 It is the only "Low-Fat Grade" mixed fat spread available in India. It is low in calories, you can maintain your slim-trim shape without sacrificing on the taste. 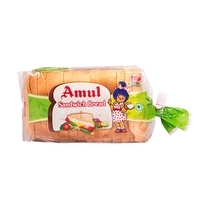 Amul Lite is ideal spread for toasts, sandwiches & bread. 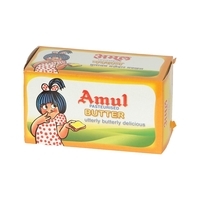 It can be used for topping on parathas, pav-bhaji, pulao, soups etc and also for household baking, preparation of cakes etc. 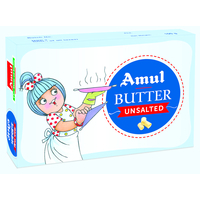 So, you can now gorge on all the delights without putting on those extra calories, thanks to Amul Lite. You love butter, but are afraid of eating it? As, it will add to your existing calories? Yes, now you can savour the hot Aloo parathas in your breakfast with a spoon of Amul Lite butter evenly spread on it, without worrying about gaining weight. 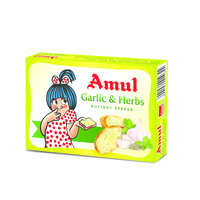 It is the only "Low-Fat Grade" mixed fat spread available in India. It is low in calories, you can maintain your slim-trim shape without sacrificing on the taste. 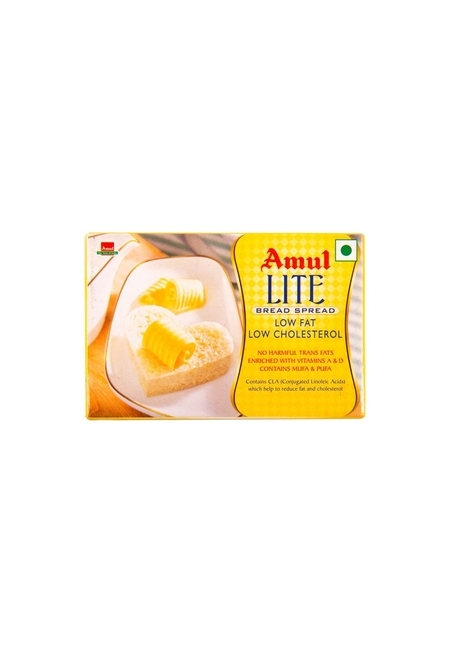 Amul Lite is ideal spread for toasts, sandwiches & bread. 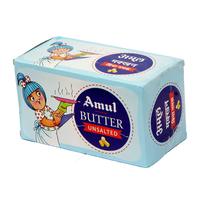 It can be used for topping on parathas, pav-bhaji, pulao, soups etc and also for household baking, preparation of cakes etc. 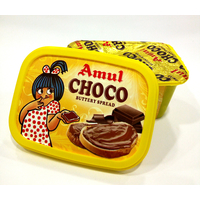 So, you can now gorge on all the delights without putting on those extra calories, thanks to Amul Lite.